Printed on high quality matte textured watercolor type paper. Printed on a 250 gsm paper. You can order any design with an oversize (A3) or smaller (13x18cm). Just send me a message through etsy or email. Carefully handpacked and shiped in a rigid mailer to protect during the journey. Thank you very much for visiting my space and see my work! **Please note: these images are copyright protected, the buyer is not entitled to reproduction rights. Retoques y envío muy rápidos. Muy buena comunicación. Ilustración preciosa, nos encantó. Encantada con el envío y con el esmero de Vireta. 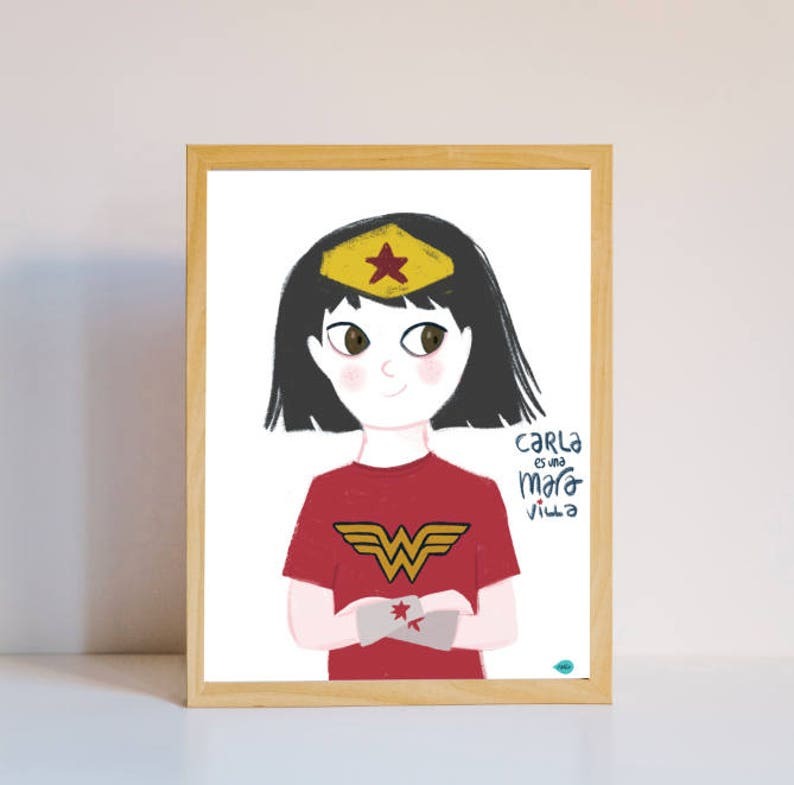 La ilustración ha llegado lista para regalar.